As we we enter the last month of Summer, Nike is gearing up for the Fall season with this ‘Militia Green’ Colorway of the Nike Mowabb OG. Usually the combination of safety orange and shades of green are a perfect mixture that attracts a flock of hypebeasts, but even I can get down with this colorway of the Nike Mowabb OG. 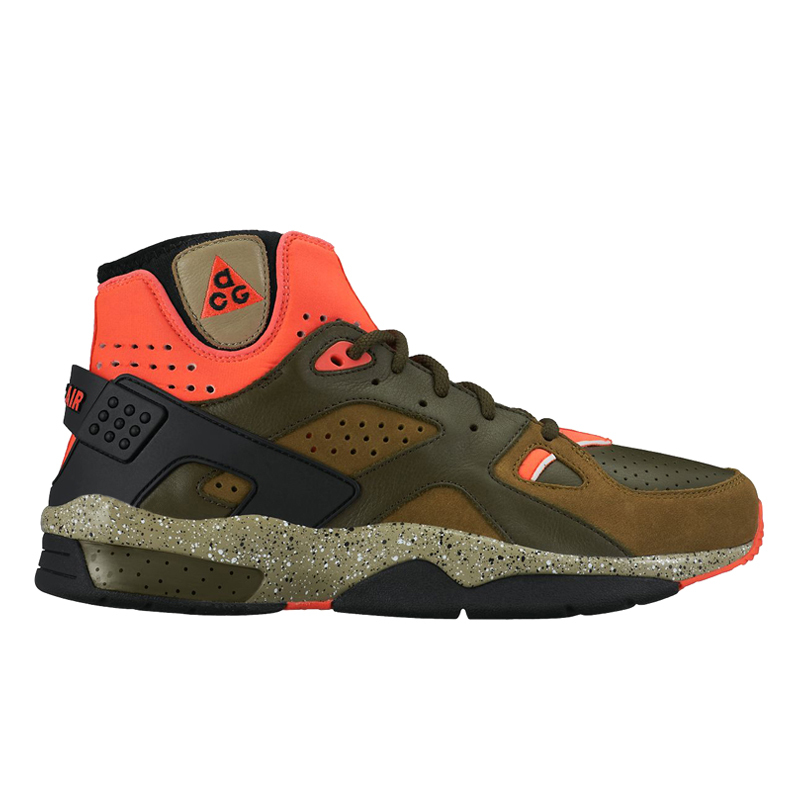 Saftey orange is used on the collar and outsole, while shades of green are used on the upper. My favorite part of this colorway is the heavily speckled midsole that features not just black, but white speckles as well.